This was Kacem's first visit to Australia to deliver a seminar and share his knowledge and experience. The seminar's focus was to introduce everyone to the primary/original form of the base of the Kihon Happo (基本八法), which can be called Shinken Gata (真剣形) or Jissen Gata (実戦形). Both names, express in different ways the same nature: reality, real, real fight, pragmatism, realism, serious-ness, etc. The techniques will focus on the first important technique which is Ichi monji no uchi or ichi-uchi (一文字之撃-一撃). The point here is to finish and control everything in one step and one strike. Same aspect will be demonstrated with omote- gyaku and ura-gyaku. Here again, the rightness, correctness and precision of the form along with flexibility and flow is very crucial. Mainly drawing from the first level of Gyokko-Ryū: Including how to handle/hold/attack with the Tantō, beginning with Tsuki. Hanbō: Will deal with the application of ichi no uchi (ichiuchi,ichitachi,ichi no tachi) in Shinken Gata. My name is Gray, and I have practiced Bujinkan Budo Taijutsu since 2000. I first met Dr Kacem Zoughari in October 2012, and he forever changed my life. I highly recommend the serious practitioner dive head first into what Kacem has to offer, it will change your life. 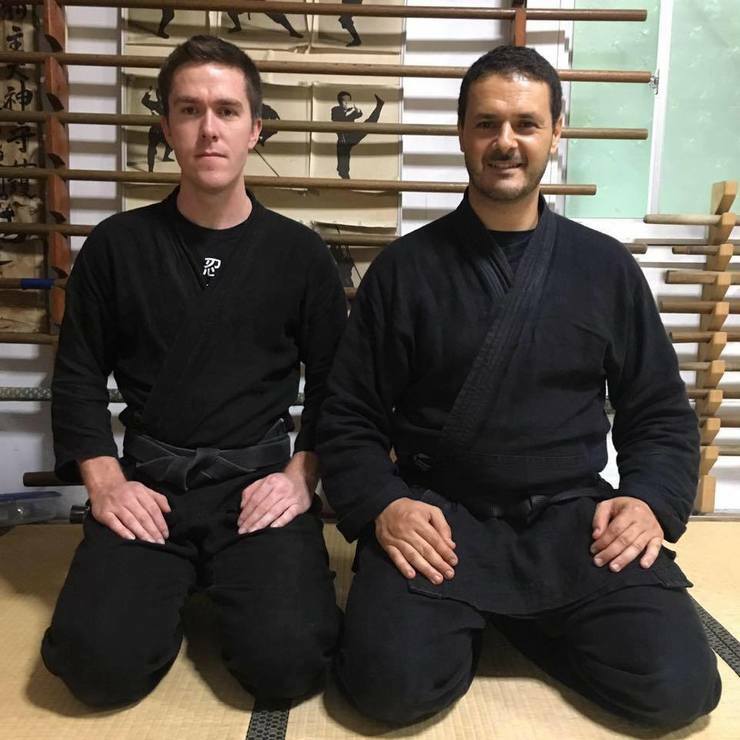 We have a small dojo in Brisbane and Newcastle Australia, called the Bujinkan Seichusen Dojo and we welcome all those who wish to practice.